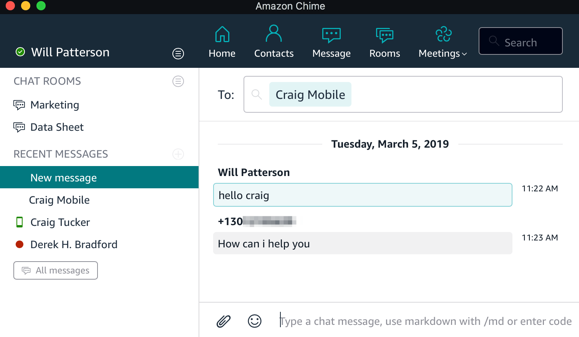 After the initial launch of Amazon Chime, one specific question that we were frequently asked by our customers was if Chime would one day support letting users connect directly to the public switched telephone network (PSTN). With the release of Amazon Chime Business Calling and Amazon Chime Voice Connector, that day has arrived! Business Calling enables calling to and from the PSTN directly from your Chime mobile, desktop, and web applications. 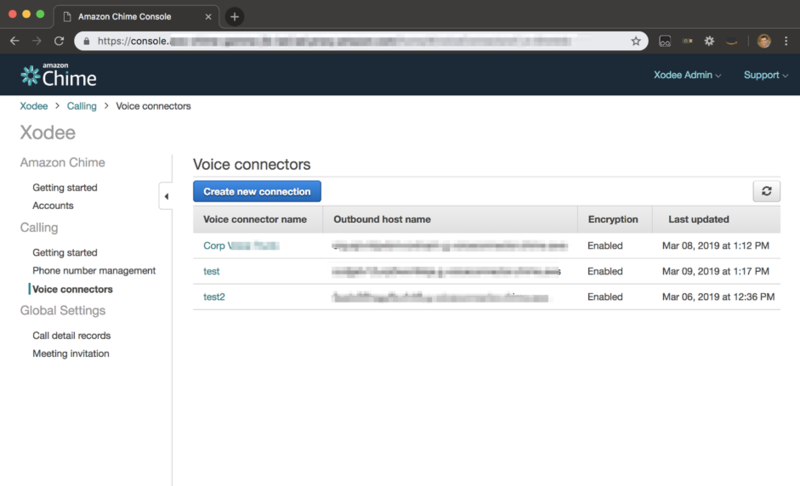 Voice Connector lets you keep your existing on-premises phone system, and simplifies your voice network administration by letting you use the Internet or AWS Direct Connect to connect to the PSTN. For today’s blog, we talked to Sid Rao, Amazon Chime General Manager to get his perspective on bringing Voice Connector and Business Calling to customers, followed by a walk-through of the Voice Connector set-up for IT Admins and the Business Calling experience for end users. Q: What are you launching today? Today we are launching two new features that enable our customers to migrate telephony workloads to the cloud, Amazon Chime Business Calling and Amazon Chime Voice Connector. These two services address a costly aspect of voice communications for our enterprise customers. When we talk to enterprise customers, they tell us that one of their biggest expense drivers is the simple need to connect to the PSTN. Voice Connector enables a customer who may have an extensive deployment of private branch exchanges call to connect to the PSTN using an Internet connection or AWS Direct Connect (another AWS service that makes it easy to establish a dedicated network connection from your premises to AWS). We do this through a global network of PSTN providers and offer the service to customers with a pay-as-you-go model. Enterprise customers with on-premises telephone systems and PBX’s typically have to contract with multiple carriers. They must sign expensive, long-term service agreements, and pay for network capacity that they are not using, all to optimize where they are spending money. We simplify that model. If a customer’s voice infrastructure is hosted in a data center provider like Equinix, it’s a simple public Direct Connect to the Chime service and then we will route calls regardless of what the capacity needs are on a pay-as-you-go pay per minute basis. Our cost basis will save customers between 40 to 50 percent from a total cost of ownership perspective. 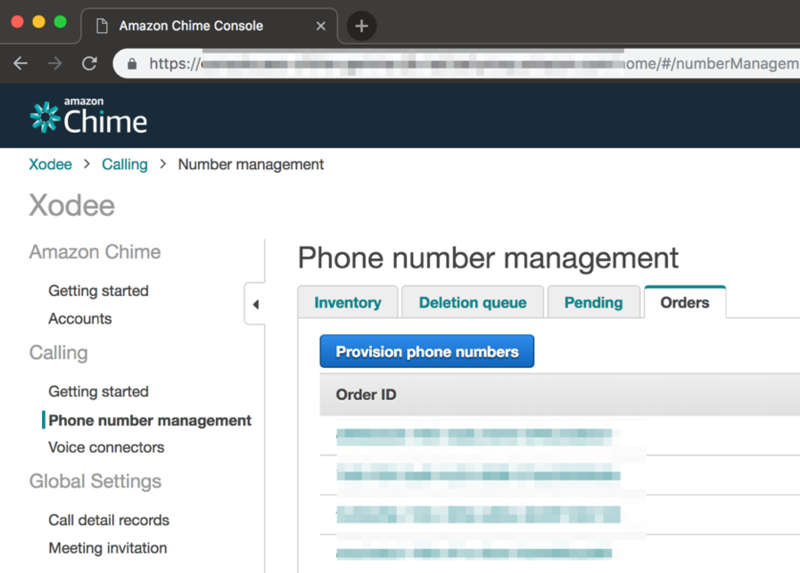 The second use case is Business Calling, where we enable PSTN calling directly from the Amazon Chime app. We started by asking a similar question. How do we make communication simple, cost effective, and friction free for our customers? Customers are tired of juggling multiple applications for placing and receiving calls, and joining conference calls. They are paying hefty seat fees for multiple business calling features, when in reality, most of their users have three basic requirements: 1) place and receive a call, 2) voicemail, 3) send and receive SMS text messages from their business identity. It’s a straightforward requirement, but to do this, IT administrators are paying monthly subscription fees regardless of use. It really doesn’t make economic sense. We decided to simply add the ability to place and receive a call directly from the Amazon Chime application. Since we already have a consumption-based billing model, customers only pay for what they use – on a per minute basis to deliver calls to or from the PSTN. We have APIs and provisioning services so that you can easily hook this into your employee on-boarding workflow. If you have an employee join your company, you can set up a flow to automatically create an Amazon Chime user with Business Calling capabilities, and you won’t get charged a per user fee if they don’t place or receive a call. Q: Where is Business Calling and Voice Connector available today? Today, we are available in US-East (N. Virginia) and we plan on expanding to multiple regions. We support United States phone numbers today, and users can text or call to over 100 countries. And we will be adding additional countries soon. That’s where we want to go. It’s a very simple story, and we are really excited about this and what we can continue to build for customers. Q: How do you see customers getting started with these new services? So that’s a great question. On the Business Calling side, there are number of ways customers can get started. You can deploy Business Calling across your employee base. 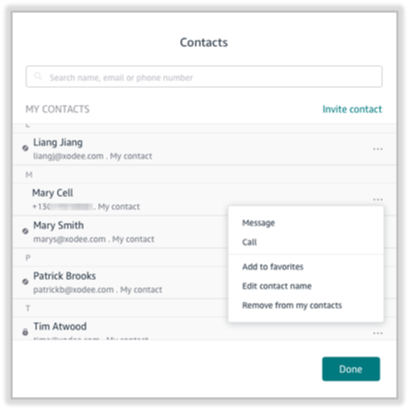 First, give employees who need the three most common features a Business Calling phone number, they will only be charged for usage and there is no reoccurring subscription fee. This allows you to reduce your dependency on a business telephone system and the reoccurring maintenance fees. You can start to convert users over to a pay-per-what-you-use model. To make the migration easier, we support porting numbers from your existing carriers. On the Voice Connector side, it’s a similar story. Today’s on-premises phone systems have the ability to support alternative routing. Start by using Voice Connector as your primary route for sending outbound traffic, you don’t have to use Voice Connector for inbound traffic. Just send traffic for outbound calling to AWS for long distance calling today, and see if it works for you. Another alternative is to use it as a failover route if you have a primary carrier you were using today, let the Voice Connector act as a secondary route. This will allow us to earn your trust, and show the stability and availability of Voice Connector. As regions expand, and country selection grows, you can expand with us. Now, to switch things up a bit let’s get into the actual user experience for these two offerings, Sid is going to walk us through setting up Amazon Chime Voice Connector and share some of his favorite Business Calling features. I will start by provisioning phone numbers. I login into the AWS Management Console and select Amazon Chime. Then I click the Phone number management tab under Calling, then the Orders tab, and then Provision phone numbers. From the Location drop down select Area code and then enter your desired area code in the search box and click . I choose my desired phone numbers and then select Provision. Now that I have a number, I can provision a Voice Connector. I start by clicking on the Voice Connectors tab and select Create new connection. Next, I configure the Session Initiation Protocol (SIP) parameters. To enable calling from your private branch exchange (PBX) to AWS, I set these parameters in the Termination tab. I have two authentication methods to choose from to ensure security on my voice connector, IP whitelisting and SIP authentication. 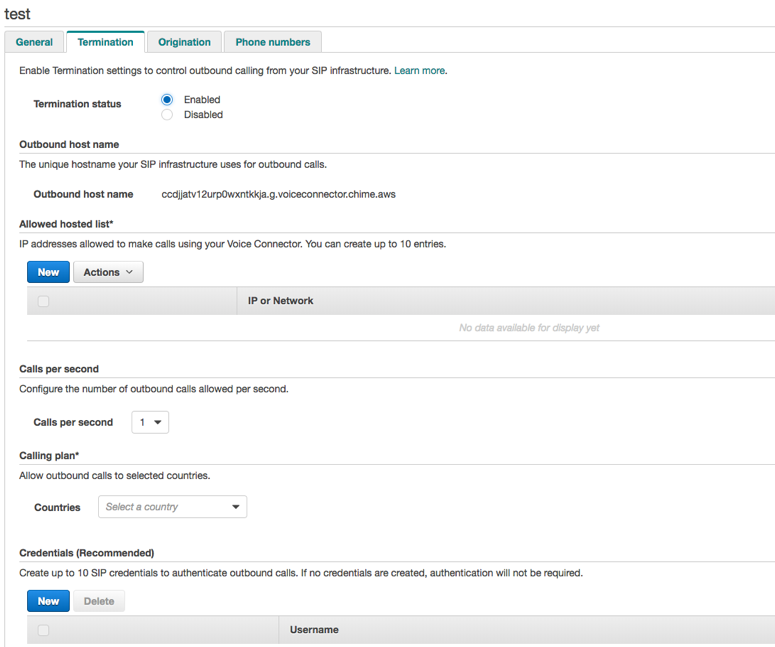 To enable calling from AWS to your PBX I set these parameters in the Origination tab. These parameters govern how AWS route calls to my PBX. I enter the IP address(s) of my PBX. Finally, I assign a phone number to the Voice Connector in the Phone Number tab. Select Assign from inventory. Choose the phone numbers you wish to assign to the Voice Connector and then select Assign from inventory in the dialogue box. Next, I will run through the most important aspects of Amazon Chime Business Calling, starting with the dialing a phone number. If the outbound calling feature has been enabled, in the Chime desktop and web application I can place a call from the dial pad by clicking Dial a phone number in the Quick Actions on the Home page or choosing Dial a phone number from the Meetings menu. I then enter a phone number and click Dial to place the call. 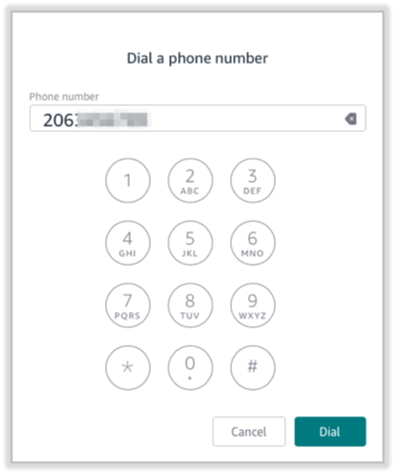 I can also dial from Contacts by choosing a contact with a phone number then clicking on the icon and choosing Call from the popup menu. 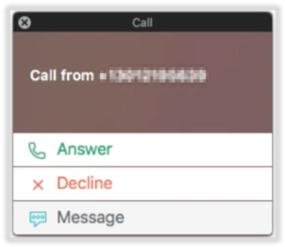 I can choose Answer the call, or Decline the call, sending it to voicemail, or Message the caller with a text message. This should be a familiar experience as it is the same experience that you have when using Amazon Chime for meetings. If the text messaging feature has been enabled and I need to send someone a text message, I can now do that right in the Chime app without having to switch to my mobile. Just like a regular Chime chat I select Message and choose a contact, in this case one with a phone number. Thanks for diving into Amazon Chime Business Calling and Voice Connector with me today. To get started, visit the Amazon Chime Console try it out for yourself. Jennie is a Principal Product Manager of Amazon Chime, a pay-as-you-go communications service that lets users collaborate with the security of AWS for online meetings, video conferencing, calls, and chat. Jennie has worked for Amazon Web Services for three and a half years and led the product team go-to-market efforts for the initial launch of Amazon Chime in 2017. Prior to joining Amazon, Jennie worked for Biba, an early stage start-up also in the Unified Communications space. Her specialties include, go-to-market, pricing, compliance and launch operations.